As you probably know, collage art is a well-established form of art, which was first introduced by Georges Braque and Pablo Picasso, two prominent 20th-century masters who also conceived and developed Cubism. It is really great to meet contemporary artists who work in this unique technique, combining different items into absolutely wonderful creations. One of these artists is Morgan Jesse Lappin, and we are delighted to share several of his amazing works with you. Morgan Jesse Lappin (b. 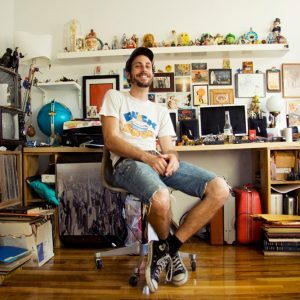 1979) is a New York City-based visual artist, musician, entertainer, and also the founder of the Brooklyn Collage Collective. 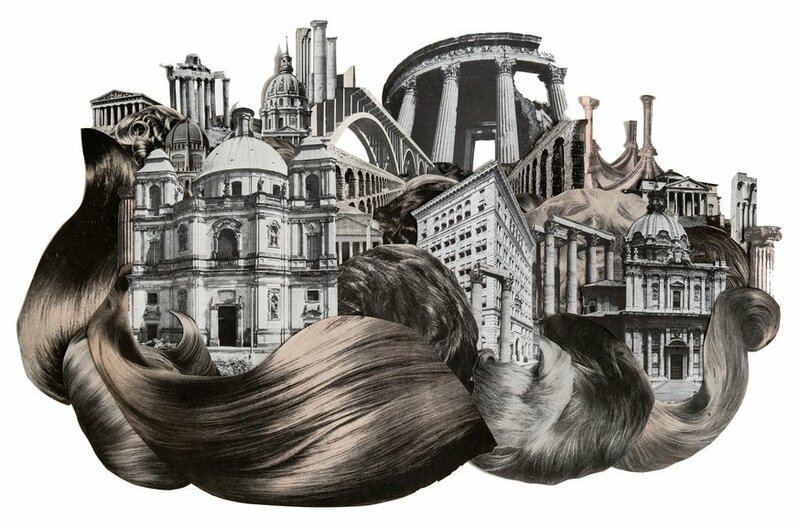 Lappin started creating collage art in 2007. At the time, he was working with a clothing company, making original designs for the t-shirt line. A year later, the artist moved to Brooklyn and since then has been working with paper to create his amazing collages that now range from fictional album covers to oversized cartoon metropolises. Morgan Jesse Lappin’s collage art is distinguished by a perfect combination of chaos and comedy, with many different elements of sci-fi, vintage horror, and music. The artist loves to use video game cartridges, VHS Tape boxes, audio cassettes, and other nostalgic material from the 1980s in his work, creating very interesting collages that have their own personality and history. Here are just several of them for you to enjoy! Works by Morgan Jesse Lappin have appeared in many art exhibitions, including at the Greenpoint Gallery, One Art Space, and Jefferson Market Library. The artist also curated a whole series of group and solo shows for the Brooklyn Collage Collective and collaborated with The Very Warm, an art-inspired lifestyle brand that used his collages in the design of fashionable outerwear. Besides, Lappin was part of and spoke at the first international collage summit in New Orleans, which was hosted by Kolaj, the number one magazine about contemporary collage. Collage art by Morgan Jesse Lappin is indeed amazing and unique in many ways. At Fine Art Shippers, we are happy to know this talented artist, and we are very proud that he has chosen to work with our team!